This personal account of the history and development of the American College of Cardiology is based mainly on my memory of events in which I was involved or was a close observer in the early years of the College. The College was founded in 1949 in New York City and incorporated in Delaware by Dr. Franz Groedel, his assistant Dr. Max Miller and Dr. Philip Reichert. Groedel had been President and Reichert Secretary of the New York Cardiological Society, which had been founded by Dr. Louis Faugeres Bishop, the father of a future president of the College. For several years, Bishop and Groedel had envisioned an organization with greater national scope. Groedel was joined in 1950 by Dr. Bruno Kisch and 11 trustees of the New York Cardiological Society who became the founding trustees of the College. Both Groedel and Kisch had been forced to emigrate from Nazi Germany where they were renowned cardiologists. Groedel had founded and was Director of the Bad Nauheim Kerckhoff Institute, and both he and Kisch had been founders of the German Society for Cardiovascular Research. Franz Maximilian Groedel, MD, PhD, Hon, the first President of the College, wrote a $15 check that resulted in incorporation of the ACC in 1949. Philip Reichert, MD, the College's first Secretary-Treasurer, conducted early College business from his Manhattan apartment. Groedel, Kisch and Reichert then embarked on an ambitious program to establish a national organization devoted to teaching and dissemination of knowledge and to encouragement of research in cardiovascular disease among practicing cardiologists and scientists. Groedel became President and Reichert Secretary-Treasurer. By 1951, after an intensive recruitment effort, several hundred recognized cardiologists had applied for and were elected to membership in the College. Groedel’s plans for the first scientific meeting were now complete. Kisch had prepared an outstanding scientific program with distinguished faculty and Reichert had made the convention arrangements. Unfortunately, Groedel did not live to see the fruits of his endeavors. After many weeks of intensive work and meetings at his home, he accidentally fell at home and sustained a fatal fractured skull and brain damage. Therefore, when the first scientific session of the College took Hotel Statler in New York in December 1951, it was attended by 400 members, but not by the man who had originally envisioned it. A wide spectrum of cardiovascular diseases was presented and discussed. My involvement with the College also began in I951 when I became a Fellow at the invitation of Bruno Kisch, who had succeeded Groedel as President. I was subsequently elected to the Board of Trustees and appointed Scientific Program Director for the annual and interim meetings (the College held two scientific meetings a year at that time). 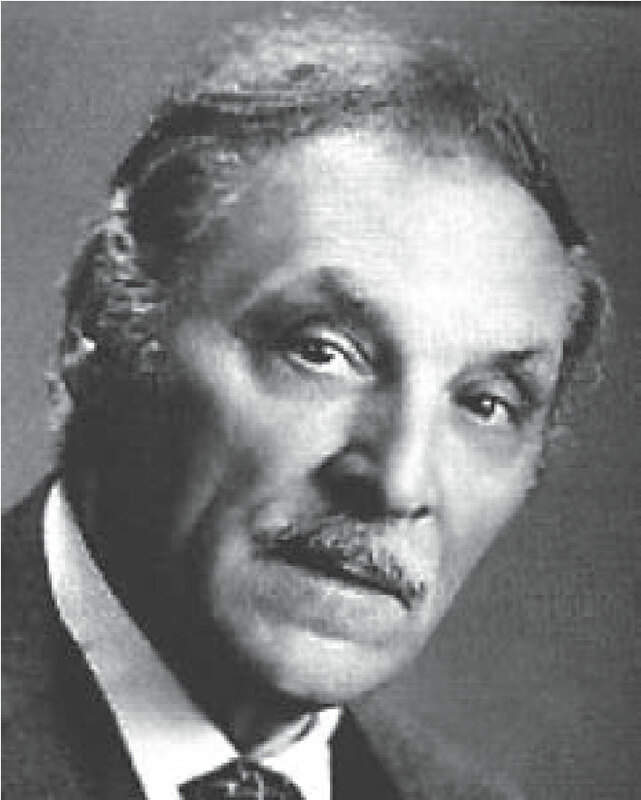 Kisch was Editor of the Transactions of the American College of Cardiology, a semiannual publication containing the papers and lectures presented at the two scientific meetings. He appointed me Assistant Editor and I succeeded him as Editor in 1953. I was also assigned to edit the monthly College “Bulletin.” This was the beginning of my training as a scientific journal editor. 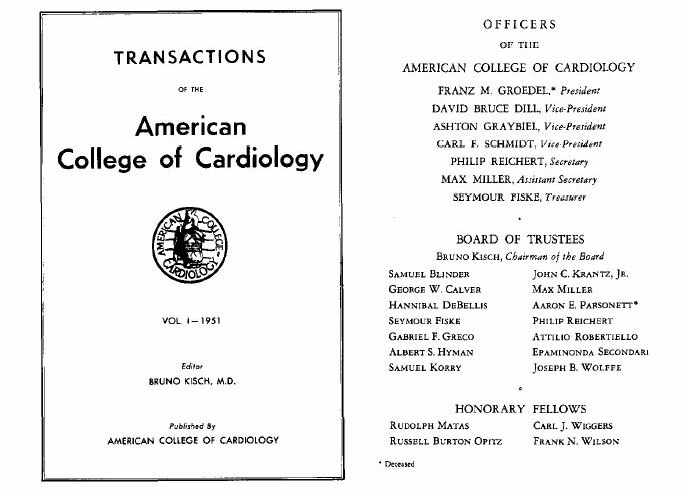 The title page and listing of Officers, Trustees and Honorary Fellows from Volume 1 of Transactions of the American College of Cardiology. There was no central College office at that time. College business was carried out by Kisch in Brooklyn and Reichert in Manhattan from their private offices and apartments, and I was a steady commuter. As the College activities expanded and its membership grew under the presidency of Kisch, Robert Glover and Ashton Graybiel, these offices were consolidated in the Empire State Building from 1954 to 1955, first in one room, then two rooms and finally three rooms with an office manager. The year 1954 marked the beginning of the College clinical workshops, the forerunners of the current postgraduate education programs. Under College auspices, division chiefs in many centers opened their laboratories to small groups of cardiologists for 2 to 3 days, providing personal contact between teacher and student. These workshops were so popular that in 1957 almost 30 workshops were scheduled. They were led by a distinguished faculty including such men as Richard Bing, Aldo Luisada, Charles Hufnagel. Denton Cooley, Michael DeBakey, Andre Cournand and Dickinson Richardson, yet participants paid no registration fee. With each succeeding president, the College gained in national scope, moving away from its origin as a predominantly New York regional organization. Annual meetings were held in Chicago, Kansas City, Los Angeles and Washington D.C. Cardiologists such as George Meneely, Myron Prinzmetal, William Likoff, Eliot Corday, E. Grey Dimond and George Griffith became active leaders in the College and were subsequently elected President or Trustee. They introduced the popular Fireside Conferences at the Annual Meeting, allowing more personal contact and face-to-face discussions with distinguished faculty. 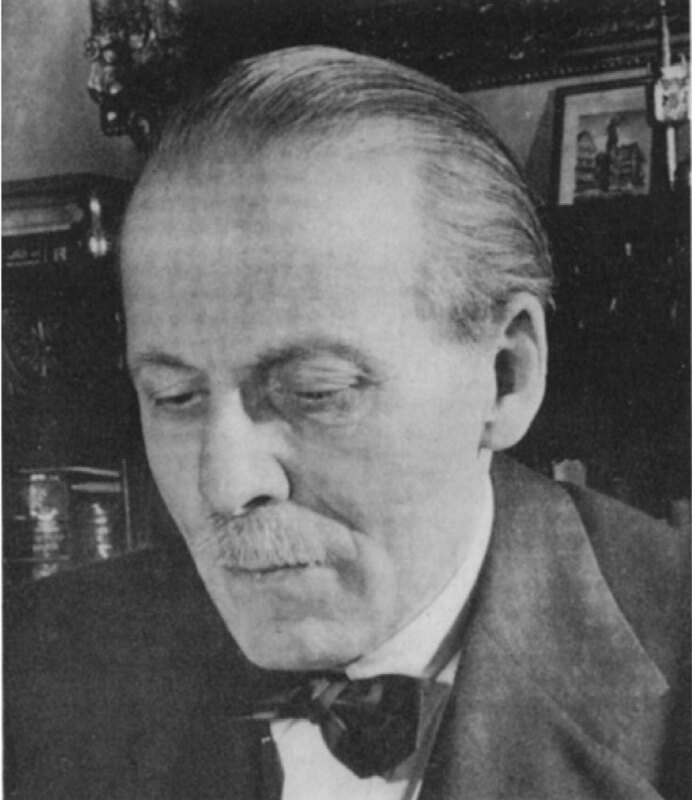 The first Franz Groedel Convocation Lecture on Humanities in Medicine was delivered in 1956 by John F. Fulton, the famous medical historian. He received the silver Groedel medal, featuring a bas-relief of Groedel created by Dr. Hannabel DeBellis, a founding Trustee of the College who was as skilled a sculptor and artist as he was a cardiologist. The medal is now presented every 10 years to the Convocation Lecturer. The subsequent three Groedel Medalists have been William Bean, Sol Sherry and Eugene Stead, a distinguished list. During my presidency from 1956 to 1957, the College membership continued to grow. I personally invited 500 certified cardiologists to apply for Fellowship. About 300 responded and subsequently were elected by the Credentials Committee and Board of Trustees. Membership had grown to about 2,500. One highlight during my presidency was a College sponsored 1 day symposium on the Treatment of Myocardial Infarction, which I planned and scheduled to be held at the Waldorf Astoria in New York City. An initial registration of 300 grew progressively to 1,000 and finally to 3,000, filling the entire Grand Ballroom. Conrad Hilton himself became involved. A distinguished faculty and panel presented and discussed the state of the art of all aspects of treatment of infarction, including topics that are still of great current interest. Lederle Laboratories, the supporter of the Symposium, was amazed and gratified by its success, even though it had cost that company its entire educational budget for 1957. The most important decision made by the College during Founding of the Official College Journal my presidency was to publish a monthly official journal to replace the semiannual Transactions. There was now a rapidly expanding output of clinical and laboratory research reports requiring dissemination to the growing College membership. Many of us believed that the flood of new information was too great to be adequately handled by the two existing American cardiovascular journals. These were Circulation, established in 1950 as the official journal of the American Heart Association (AHA), and the now independent American Heart Journal, the first official AHA journal. The College Board of Trustees agreed that there was room for a third journal and requested that I appoint a search committee for a publisher and editor. The Yorke Medical Group submitted the best contract and was chosen as publisher of The American Journal of Cardiology. The search committee submitted my name for appointment as Editor-in-Chief, a position I accepted with great trepidation. It was the onset of my career as editor of a major heart journal, which has now exceeded 30 years. The first issue of The American Journal of Cardiology appeared in January 1958 and was graced by invited articles by Honorary Fellows Samuel Levine, Ignacio Chavez and Claude Beck, as well as by Myron Prinzmetal, Heim de Balsac, Demetrio Sodi-Pallares, Charles Bailey and Richard Bing, a distinguished list. The growth of the College and that of its official journal have run parallel, each gaining from the prestige of the other. By 1981, the Journal had attained a circulation of 26,000 as the College membership increased to 13,000. In 1982 the Board of Trustees, Officers and the Executive Director made the decision to sever relations with its publishers and to found a new journal that it would own. The Journal of the American College of Cardiology (JACC) became the new official journal, published by Elsevier Science Publishing Co., whose dedicated management and editorial staff have worked closely with the College to produce an outstanding journal, elegant in appearance and layout and highly readable. The founding of the new journal appeared to be a good time for me to retire as Editor-in-Chief to make room for a younger individual. My decision to retire was not accepted and, owing to the intense encouragement of President Dan McNamara, President-Elect Suzanne Knoebel, Past President Charles Fisch and our Executive Vice President William Nelligan, I accepted the invitation of the Executive Committee to assume the editorship of the new journal. I have never regretted the decision. I hope that the Journal and its readership have benefited and that I have fulfilled the goals set for me by the College. It was gratifying to me when a recent survey of the College membership by the Strategic Planning Committee indicated that JACC was rated the primary membership benefit. Another mark of its success is that it has attained a circulation of more than 23,000 and has been rated as the “most read” cardiovascular journal by several readership surveys. The high standards for manuscript quality and originality set by the Editor and Editorial Board have made it the prime educational vehicle of the College directed to the clinical cardiologist. It was understandable that the founding of the College in 1951 and its official journal in 1958 met considerable opposition from several academic leaders active in the American Heart Association or its affiliates. These leaders discouraged members of their staff from applying for membership in the College. This also applied to individuals who wished to become leaders in the AHA; they did not dare to join the College. Nevertheless, as noted by Grey Dimond in his editorial in this issue of JACC, by the late 1950s and early 1960s, many younger practicing and academic cardiologists realized that the College was becoming a potent force in the education of the cardiologist and posed no threat to the important public health, community and research programs of the AHA or its local affiliates. The attempts at conciliation between the two organizations appeared to fall apart at a liaison committee meeting held at the New York Athletic Club. Louis Bishop, Phil Reichert and I represented the College. We were offered the honor of becoming the Council on Clinical Cardiology of the AHA if the College would give up its name, identity and journal. Of course, this was an offerthat we had to refuse. Nevertheless, several important events occurred soon after to hasten the process of cooperation between the two organizations. The first was a “walk in the woods” on the Atlantic City boardwalk with the late Louis Katz, my friend and distinguished cardiologist of Chicago, who was a leader of the AHA. Incidentally, Louis Katz was the discussant of my first paper on congestive heart failure in acute myocardial infarction, which I delivered at the AHA annual meeting in Kansas City in 1936. At an annual meeting of the AHA in 1959, he accosted me angrily at the entrance to the convention hall in his typically gruff manner: “Simon, why another heart society? Why another heart journal?” After an hour’s walk and intense discussion, I thought I had convinced him that there was room and need for both organizations, that each had specific functions and that the College and AHA must cooperate for the benefit of the cardiology community. Another liaison committee was soon established to advance this goal. The second event, as related by Grey Dimond, was the series of visits he made to Paul Dudley White in Boston, under whom he had served his cardiology fellowship. Dimond also tried to convince White of the need to cooperate with the College. This was followed up by further discussions when Dimond became College President in 1961. Subsequently, when Dwight Harken of Harvard became College President-Elect in 1963, White’s opposition waned. Harken also expedited the election to College Fellowship of a large nationwide “blue ribbon” group of leading cardiologists. Added to these activities were the efforts of George Griffith, Eliot Corday and Arthur Selzer of California, who encouraged their West Coast colleagues to become active in the College. The culmination of these activities led to the election of Paul D. White and Louis Katz to Honorary Fellowship of the College in 1963. White delivered the Convocation Address at the annual meeting. A special “Portrait of Paul D. White” edited by Grey Dimond was published in The American Journal of Cardiology in 1965. Many of White’s colleagues and former Fellows contributed their reminiscences of their years spent with White at Harvard. Their respect and affection for him shine through every page. In 1966 at the annual College meeting in Chicago with Eliot Corday presiding, White honored the College by presenting the Cummings Award to the team members of the International Circuit Courses during that year. Later in 1966, the next President of the College, C. Walton Lillehei, and the President of the American Heart Association, Helen Taussig, toasted each other at a social evening in my home. This monthly audiocassette program was initiated by Grey Dimond during his presidency from 1961 to 1962 and he became its first Editor. ACCEL was directed to the practicing physician, presenting the current advances in diagnosis and treatment. The interviews and discussions were led by a distinguished editorial board of College Fellows. Dimond was succeeded by William Likoff, who served for several years, and by Sylvan Lee Weinberg, ACCEL’s present Editor. This pioneering medium of teaching has been highly successful with a present circulation of over 6,000. It has been supplemented with additional audiovisual media, including audiovisual cassettes and slide atlases of cardiology and cardiac anatomy, excellent vehicles for teaching. In the early years of the College, the scientific program at the Annual Meetings was structured, with lectures and conferences by invited leaders in their field. In the early 1960s, the College invited the submission of abstracts of original clinical and laboratory research. The number of abstracts submitted and the number of papers presented have grown progressively, so that for the 1988 meeting, 3,554 abstracts were submitted to the Scientific Program Committee and 1,016 were accepted for presentation. For the March 1989 meeting, more than 4,000 abstracts have been received. In recent years, this expanded program has required simultaneous presentations in multiple auditoriums and meeting rooms. Nevertheless, the Program Committee has strived to include invited lectures and symposia on current topics of interest to all clinicians, surgeons and scientists, making the Annual Scientific Session a powerful educational experience for all. The growth of the scientific program at the Annual Meeting has been accompanied by the steady expansion of scientific exhibits, poster sessions and commercial exhibits. The latter have required increasing exhibit space but provide an educational update on innovations and improvements in diagnostic equipment and therapeutic products and are a potent source for funding of other College educational programs. During Grey Dimond’s presidency, the Young lnvestigator Awards were initiated to encourage the younger cardiologists engaged in clinical and laboratory research. These have attained a permanent role in the Annual Meetings with presentations of original research by the five winners of the competition and awards of prizes by the Young Investigator Awards Committee to the winners of the competition. William D. Nelligan, CAE, Executive Vice President of the College, has been a major force in the growth and development of the ACC. By the mid 1960s, Philip Reichert had served for 15 years as Executive Director and the time had arrived to seek a successor. At the same time, discussions had begun among the College Officers and Trustees about the possibility of moving the College headquarters to the Washington. D.C.- Bethesda area in the vicinity of the National Institutes of Health and The National Library of Medicine. It was therefore most fortunate that two events coincided that would greatly contribute to the growth and present stature of the College: the appointment of William D. Nelligan as Executive Director and the relocation of the College to Bethesda, Maryland. Nelligan had been a protégé of Grey Dimond at the University of Kansas and had served as Director of Postgraduate Education for several years before assuming a similar post at Emory University in Atlanta. After intense interviews and discussions, an acceptable contract was drawn up and Nelligan succeeded Phil Reichert as Executive Director. Reichert was named Executive Director Emeritus and Historian of the College. Bill Nelligan and his family visited us in New York, and we toured the city and its suburbs to find a suitable home where he could raise his young children. After a frustrating day, I advised Bill to insist that the College carry out its plan to move to the strategically located Washington-Bethesda area. He agreed and in 1965 he found and subleased office space on the campus of a national medical organization in Bethesda. He bought a home in Damascus, Maryland, where he raised his family and still resides with his wife, Dorothy. Before long, the College records were packed and moved to the new and enlarged offices under new management, staffed to serve the growing membership of the College. After several years, it became evident to the Board of Trustees that the College had outgrown its Bethesda offices and must seek a new site and build its own headquarters. This was the beginning of an ambitious effort in the late 1960s to transform a College “without walls” to one “with walls.” Several Past Presidents and Trustees of the College became active in this project, including Dwight Harken, Grey Dimond, William Likoff, B. L. Martz, Samuel Fox and Donald Dupler. A large vacant plot was located in Bethesda close to the National Institutes of Health. The available funds in the College treasury, a tax-free loan of $100,000 from the Tisch family and a check for $50,000 from the estate of one of my patients allowed the College to buy the land and obtain a mortgage. The most difficult decision in President George Burch’s career was to sign his name on the check to close the deal. Illustration of Heart House in Bethesda, Maryland. The next stage was the creation of a building fund to build Heart House. This was headed by Dwight Harken, who devoted all his energy and leadership in soliciting contributions from private and corporate friends of the College and its membership. He received the support of several major donors, and industrial exhibitors at the Annual Meetings were liberal contributors to the fund. By 1973 there were sufficient funds to select an architectural firm to draw up plans for Heart House and its Learning Center, which was to contain the most modern technology. On September 29, 1974 a ground-breaking ceremony was held, attended by College officers, members and government officials. The building fund drive continued and raised $5 million by 1976. The dedication ceremony for Heart House on October 3, 1977 was presided over by President Dean Mason and attended by 900 members and friends. 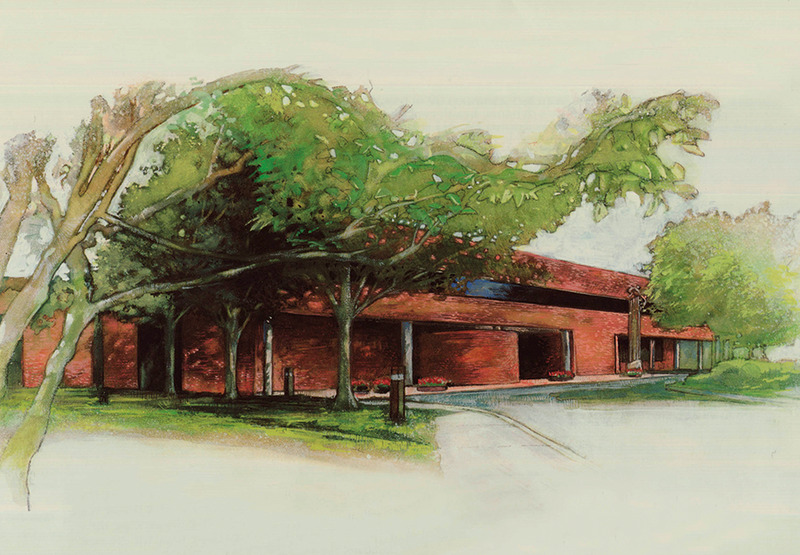 The new headquarters contained enough space to house the various administrative offices as well as the Learning Center Auditorium, the Griffith Resource Library, the Likoff Conference Rooms and the Dack Atrium. A $1 million grant from Intermedics, Inc. was donated to support the activities of the Learning Center. This became a center for postgraduate education and conferences, with 67 named chairs equipped with a TV monitor, stethaphone, palpator, call light, tape recorder jack and multiple choice system. Since the first program presented by Proctor Harvey, there has been a growing number of highly attended courses each year. Over 20 courses have been scheduled for the first 6 months of 1989. Incidentally, Heart House won an award for architectural excellence soon after it was dedicated. The increasing administrative and educational activities of the College necessitated the addition of a 29,000 square foot wing, which was completed and dedicated in 198.5. This new wing has provided additional office space and a dining room for use during Learning Center programs. There is room for additional expansion and it will not be long before the College will need it to serve its membership, which now is over 17,000 and growing. For supervising and accomplishing this phenomenal growth of the College and the improvements in Heart House, Bill Nelligan deserves the highest praise. His long dedicated service and administrative and educational skills have earned him the College’s Distinguished Service Award, which he so richly deserves. I hold him greatly responsible for the stature and prestige achieved by the College in the last 25 years. Even before the opening of Heart House, the College was receiving requests from various medical and federal agencies for advice and recommendations on problems related to the practice of cardiology. Thus was born another project, The Bethesda Conference, initiated by Eliot Corday in 1968. Leading experts from the College ranks and from other medical societies and government agencies were invited for a 2 to 3 day conference. Advance preparations were made by a conference chairman and several task force chairmen. These task forces met and prepared a consensus report for the topic under discussion, which was published in the College Journal and then widely disseminated to interested agencies and societies. The first conference on cardiovascular problems in airline pilots was held in 1968, and there have since been 20 Bethesda Conferences on important topics such as cardiovascular disease in the elderly and in the athlete, manpower in cardiology, noninvasive diagnostic techniques in pediatric cardiology and sudden cardiac death. The participants in the 17th Bethesda Conference on Cardiovascular Training recommended that the duration of training programs in adult cardiology be increased to 3 years from the present 2 years. Endorsed by the Board of Trustees of the College, this recommendation encouraged the American Board of Internal Medicine to proceed with its proposed policy, which is to start in 1990. The most recent Bethesda Conference-on Insurability and Employability of the Patient with Ischemic Heart Disease--was held in October 1988. The Bethesda Conferences have recently been supplemented by a joint ACC-AHA task force on Assessment of Diagnostic and Therapeutic Procedures. This task force, chaired by Charles Fisch, aims to set standards and guidelines for these procedures and their implementation. Its existence is a tribute to the closer association and cooperative efforts of the two national organizations to improve cardiovascular patient care. Topics have included guidelines for pacemaker implantation, exercise testing, cardiac radionuclide imaging and coronary angioplasty. The most recent report, appearing in this issue of JACC, is devoted to ambulatory electrocardiographic monitoring. A future report will deal with electrophysiologic studies. I end this historical account with additional comments on the two founding fathers of the College. Philip Reichert died on March 20, 1985 at the age of 88. A long-term Secretary and then Executive Director of the College, he had served selflessly under trying and challenging conditions. 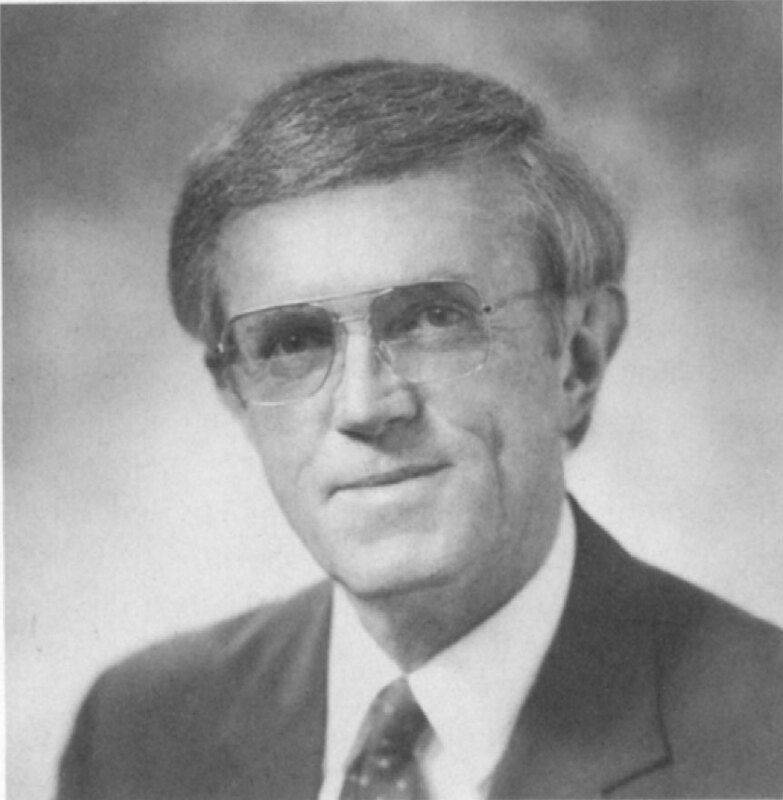 As the late Louis F. Bishop wrote, “it was Phil Reichert’s dedication, administrative skills and enthusiasm which led the College in its early years on the path of education of the academic and clinical cardiologist.” This long service earned him the honor of being named the first Distinguished Fellow of the College. Finally, as Bill Nelligan, his successor, once observed, “he had more influence on the stability, growth and purpose of the College than any single individual in the history of the College.” Phil Reichert lived to see and appreciate the fruits of his efforts. On the other hand, Franz Groedel died prematurely even before the first annual College meeting. Yet his influence continues and his name is perpetuated. The Groedel Convocation Medal is the highest honor bestowed by the College. In addition, in 1948 an endowment fund was established in his honor by the Sanatorium Groedel Siftung in Bad Nauheim. Through the efforts of the late Horace Borchard, chairman of its Board of Trustees, the Franz M. Groedel Endowment Fund, now amounting to $500,000, was contributed to the College in May 1984 to promote research and educational programs of the College. In 1988, Groedel was chosen to receive a posthumous award at the Annual Meeting of the German Society for Cardiovascular Research for his “contributions to cardiology, science and human understanding.” Groedel’s influence lives on. He would have been very proud to see what his successors have accomplished in making the College the premier organization in the world devoted to the practice of cardiology. Originally published in the January, 1989 edition of JACC. Dack S. An editor's account of the history of the college. J Am Coll Cardiol.